A federal judge this week unsealed the source code for a software program developed by New York City’s crime lab, exposing to public scrutiny a disputed technique for analyzing complex DNA evidence. Judge Valerie Caproni of the Southern District of New York lifted a protective order in response to a motion by ProPublica, which argued that there was a public interest in disclosing the code. ProPublica has obtained the source code, known as the Forensic Statistical Tool, or FST, and published it on GitHub; two newly unredacted defense expert affidavits are also available. Caproni’s ruling comes amid increased complaints by scientists and lawyers that flaws in the now-discontinued software program may have sent innocent people to prison. Similar legal fights for access to proprietary DNA analysis software are ongoing elsewhere in the U.S. At the same time, New York City policymakers are pushing for transparency for all of the city’s decision-making algorithms, from pre-trial risk assessments, to predictive policing systems, to methods of assigning students to high schools. 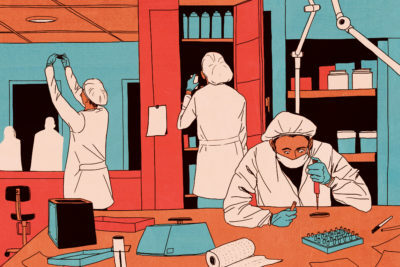 New York City’s crime lab has been a pioneer nationally in analyzing especially difficult DNA samples. But the recent disclosure of the source code for its proprietary software is raising new questions about accuracy. DNA evidence has long been a valuable tool in criminal investigations, and matching a defendant’s genetic material with a sample found on a weapon or at a crime scene has impressed many a judge and jury. But as new types of DNA analysis have emerged in recent years to interpret trace amounts or complex mixtures that used to be dismissed as hopelessly ambiguous, the techniques are coming under fire as overly ambitious and mistake-prone. An article ProPublica co-published with The New York Times on Sept. 4 detailed the growing doubts about the Forensic Statistical Tool, which New York City created to determine the likelihood that a given defendant’s DNA was present in a mixture of multiple people’s genetic material. According to the crime lab’s estimates, FST was used to analyze crime-scene evidence in about 1,350 cases over about 5 1/2 years. 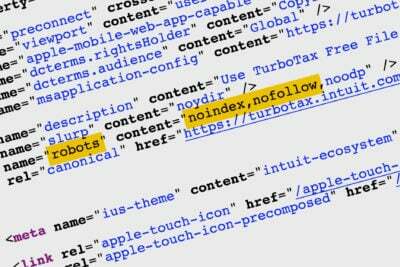 It was phased out at the beginning of this year in favor of a newer tool. 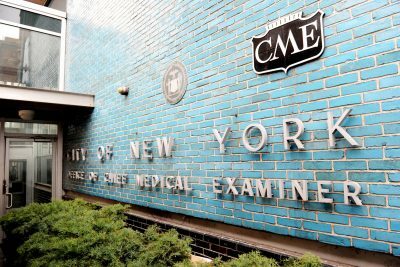 A coalition of New York City defense lawyers has called for a review of all cases that may have been affected by either FST or a second disputed analysis method, called high-sensitivity DNA testing. The state inspector general, which acts as the lab’s ombudsman, has received the lawyers’ request but has not yet announced whether she will launch an investigation. The crime lab, which is part of the Office of the Chief Medical Examiner, did not oppose ProPublica’s motion, but maintains its support of its technology. “I want to be very clear that OCME continues to stand behind the science that the FST source code operationalized, and that we will continue to defend FST,” Florence Hutner, general counsel for the medical examiner’s office, wrote to the judge on Oct. 6. ProPublica’s motion came in a federal gun possession case, U.S. v. Kevin Johnson. Johnson was staying with his ex-girlfriend in the Bronx when police were called to her apartment and found two socks wedged between the refrigerator and the wall, one containing a black pistol and the other a silver revolver. By FST’s calculation, the DNA found on one gun was 156 times more likely than not to contain Johnson’s genetic material. DNA from the other gun had an overwhelming likelihood of 66 million. In that case, Caproni became the first judge to order the lab to hand over the code for examination by the defense, but her protective order barred attorneys and experts from discussing or sharing it. Nathaniel Adams, a computer scientist and an engineer at a private forensics consulting firm in Ohio, reviewed the code for the defense and submitted an affidavit that was partially redacted before being made public. “The correctness of the behavior of the FST software should be seriously questioned,” he wrote in an unredacted section. You can see the code for the Forensic Statistical Tool on GitHub. FST was invented by employees of the crime lab and programmed by software consultants. The lab began using it in 2011 to analyze complex mixtures of DNA left behind at crime scenes. About 50 jurisdictions as far away as Bozeman, Montana, and Floresville, Texas, also sent samples to New York City for testing. When defense attorneys challenged FST’s results in court and sought access to the program’s source code, the crime lab has previously refused, saying it was proprietary. Although almost all judges have allowed FST results as evidence in court, one state judge, Mark Dwyer of Brooklyn, ruled them inadmissible in two cases in 2014. Dwyer, now presiding in Manhattan, excluded FST evidence from two more cases this week. While prosecutors in both cases said DNA evidence analyzed with FST showed that the defendants violated gun possession laws, Dwyer said in court on Oct. 16 that his doubts about the program’s acceptance in the scientific community persist, especially since the New York lab is no longer using it, and no other lab has adopted it. New information about the development of the FST source code and some of its purported weaknesses surfaced this past July in the cases before Dwyer in an affidavit by Eugene Lien, a technical leader in the DNA lab, whom the prosecution was using as an expert. After the lab started using FST for casework in early 2011, he and his colleagues discovered a problem with the program’s math that could skew a test’s results, according to Lien. “Because of this, the FST program was taken offline and portions of the software were re-coded,” he wrote. The lab did a “performance check” of the new version before resuming casework with it in July 2011, he went on, but lab officials did not inform the state oversight commission about the change, nor did they run another full validation study on the program. We’re asking a federal court for the code behind a technique that critics say may have put innocent people in prison. The letter to the state inspector general from the group of defense lawyers cited Lien’s account, saying it contained “damning admissions” about the lab’s lack of transparency. They also theorized that the recoding Lien described could itself have led to one problem identified by Adams — the exclusion of potentially valuable data from FST’s calculations of likelihood ratios. Characterizing Adams’ criticisms as merely cosmetic rather than substantive, the lab has contended that FST calculations were reliable. Besides ongoing criminal cases in New York City involving FST, Caproni’s decision to unseal the source code may also affect another legal fight for access to a proprietary DNA software system. The American Civil Liberties Union and the Electronic Frontier Foundation intervened in a case in California’s appeals court on Sept. 13 in support of a defendant’s right to review the source code behind a commercially available DNA analysis program called TrueAllele. Outside the courtroom, some New York City lawmakers are seeking more public review of algorithms and their impacts. On Oct. 16, the New York City Council’s Committee on Technology held a hearing about a proposed bill calling for all city agencies to publish online the source codes for algorithms that they use in decision-making. 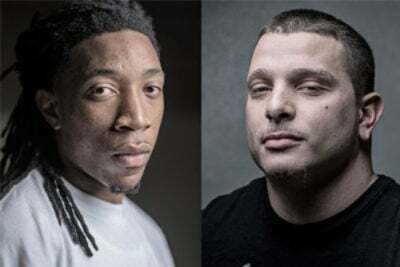 As an example of the danger of relying on algorithms, witnesses and a committee report cited ProPublica’s 2016 investigation that found racial bias in a software program used by courts to decide whether it’s safe to let defendants out on bail. The committee heard from defense lawyers and others who support the bill as well as representatives from Mayor Bill DeBlasio’s Office of Data Analytics and the city’s Department of Information Technology and Telecommunications, which both oppose it in its current form. After the hearing, Vacca told ProPublica that he would revise the bill to address criticisms he had heard about confidentiality concerns, and also to clarify that the proposal applies to both programs developed by third-party vendors and software developed in-house by city employees. Vacca said he is determined to pass a law on this issue before the end of his term.